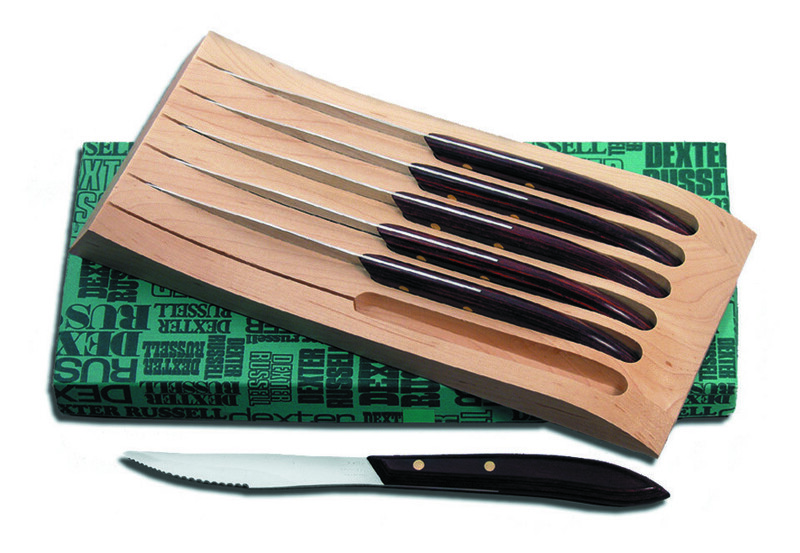 The Dexter Connoisseur® is designed for use in the finest restaurants, hotels, and other institutions. The product line combines premium materials with Dexter's expert craftsmanship. Sanitary engineered rosewood handles, impregnated with polymers and resins, provide warmth, durability, balance, and stain resistance. Stain-free, high-carbon steel blades are individually ground to the ultimate edge. Made in USA. Set includes wooden storage block.